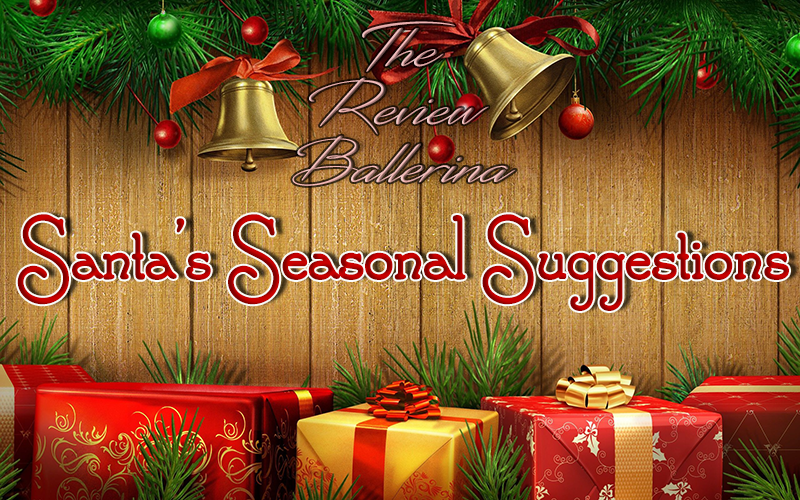 Another great idea from Santa's Seasonal Suggestions! These make awesome stocking stuffers! My daughter is a huge fan of the Mash'ems collections. When her soccer buddy brought one to practice I thought she was going to split a seam because she didn't have any. Little did she know, Tech 4 Kids was sending us an awesome collection for her to play with, and now I get to show everyone these awesome things! As you can see, the detail of each of these is really great, and it was awesome that there are so many different character categories for boys and girls. This caters to any interest they may be having, and allows them the chance to collect entire groups! I thought that this was Apple Blossom, but no I was totally wrong and for the life of me I still can't remember this pony's name. If you know who it is, make sure to reply to this review! As I said, you can see the detailing even in the eyes, the hair stands up it doesn't flop about, and this is the one thing I really love: Yes, they mash, but they are NOT sticky! I would though suggest to watch your child's squishing techniques, as sadly Sully from Monsters, Inc popped very quickly. BUT! Tech4Kids was quick to send us a replacement knowing that poor Mike Wazowski couldn't be without his buddy! 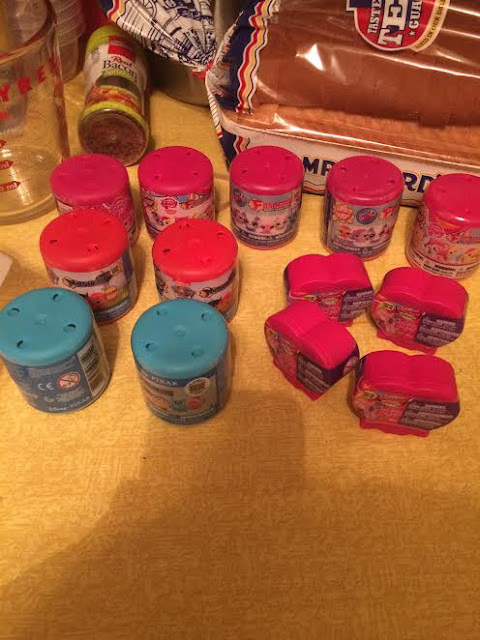 They also sent my daughter some Teenage Mutant Ninja Turtles ones, but the brain looking one popped in the bathtub before I could get a picture. Now he just looks like...a deflated brain really. This is a very lovely Squishy Pop. Isn't it cute? Again, another My Little Pony and this was obviously Twilight Sparkle (HAH! Pony fans around the world will now cheer me on for knowing this.) 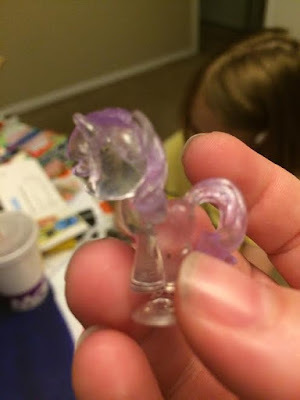 These my daughter had some fun with, as she liked to push the pony down and it sticks! 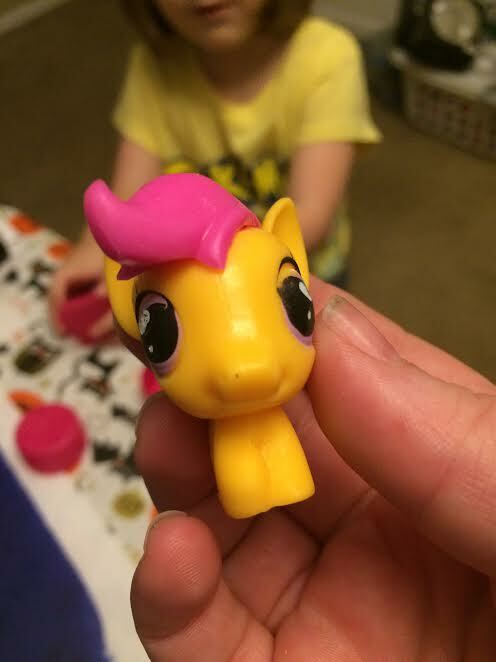 It doesn't pop up or anything, but she likes making it so they stand then she brings her other little ponies from her blind bags around. It's cute seeing all her ponies have conversations and these make great little additions for lets say...a shelf of ponies? You could get these, add them as little accents to larger ponies that are being collected and saved and definitely could pass them down to other generations! I cannot find the pictures of the Paw Patrol buddies my daughter received, but she tells me she got Chase, Rocky, and Skye. She has these in the bathtub with her and it fascinates her when she squeezes them. The idea of squeezing something with liquid in it, while in the tub and the liquid doesn't come out (on purpose!) makes her so excited. You can get a Mash Em's in stores for the same price as a Blind Bag (So usually anywhere from $2.50-$3.50), and I will say this, they make AMAZING stocking stuffers! With all the characters you can choose from your son, daughter, niece, nephew, grandchild, cousin, whoever will go crazy for these when they see them! So make sure to get yours today!